Today we are kicking off the first day of TechCrunch Moscow. Day one is all about 38 startups pitching to enter the final stages. Day Two will feature many speakers from the Russian tech startup ecosystem and some international speakers. Here’s live video stream. Since the first TechCrunch Moscow in 2010, the event has created a major splash in the Russian startup and venture industry and is very much at the core of what’s happening. As always, the conference will be accompanied by the Startup Alley and pitches competition, featuring 38 up-and-coming Russian startups. Evan Nisselson (LDV Capital) will MC the Startup Pitches. Each startup will have 3 minutes for the pitch and another 2-3 minutes to answer questions from the judges. The pitches will be followed by the Product Announcement from Marina Kolesnik, founder and CEO of Oktogo, and a Success Story of Rocketbank presented by the founder, Victor Lysenko. You can tune into the live stream by clicking here or below. 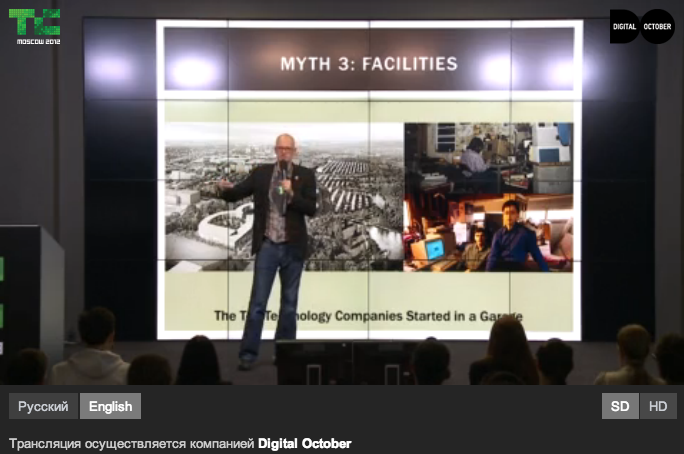 The TechCrunch Moscow event partners are Digital October and Kite Ventures. Follow TC Moscow on Twitter and Facebook. You can also follow the hashtag on Twitter.